Stage 5 dawned in Avon, signalling the day of the queen stage of the inaugural Mavic Haute Route Rockies. 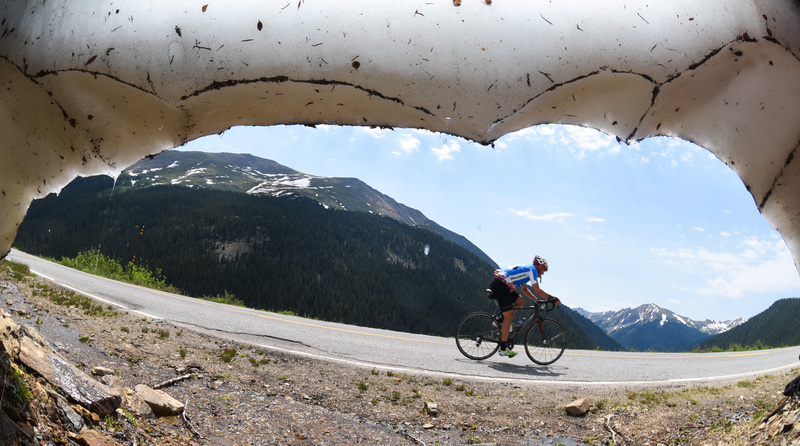 With 102 miles (164km) and 8,858 feet (2,700m) of climbing on the program, riders lined up in Avon knowing they would have to summit the mighty Independence Pass on their way to Snowmass Village. For the first time ever in the history of the Haute Route, the overall stage win was taken by a female competitor. Attacking early on Battle Mountain, Emma Pooley made the difference from the front group and held on to cross the finish line with the fastest time of the day, over 30 seconds faster than her closest male competitor, Chris Pook. The overall standings remain unchanged once again, with Matthew Busche holding onto his leaders jersey and Emma Pooley extending her lead even further. “I usually go up there for my birthday in September”, she added whilst proceeding to cheer on her fellow riders as they recovered and regrouped before the assault on the longer but more rolling climb of Tennessee Pass. At 12,095ft (3,687m) above sea level, Independence Pass is the highest point of the week and was the final timed ascent of the day. Rising above the tree line into the thin air, riders could appreciate the natural beauty of the surrounding landscape and squeeze out their final ounces of energy on the day. Dynamic father and son duo from Switzerland Christian and David Pfefferle had also enjoyed the challenge of riding up to 12,095ft (3,687m): “We’ve never even been this high when we go ski-mountaineering at home,” said Christian. “To go this high whilst riding your bike is simply amazing,” added David. King and queen of the mountain prizes were also on offer for the fastest male and female riders up Independence Pass. The fastest man was Matthew Davis of Rhino Velo Race Team, Emma Pooley took home the prize for the women. After layering up and filling their bottles for the final time, riders were able to enjoy the beautiful sinuous descent off Independence and through the town of Aspen before a short climb back up into the town of Snowmass Village for the finish line of stage 5. 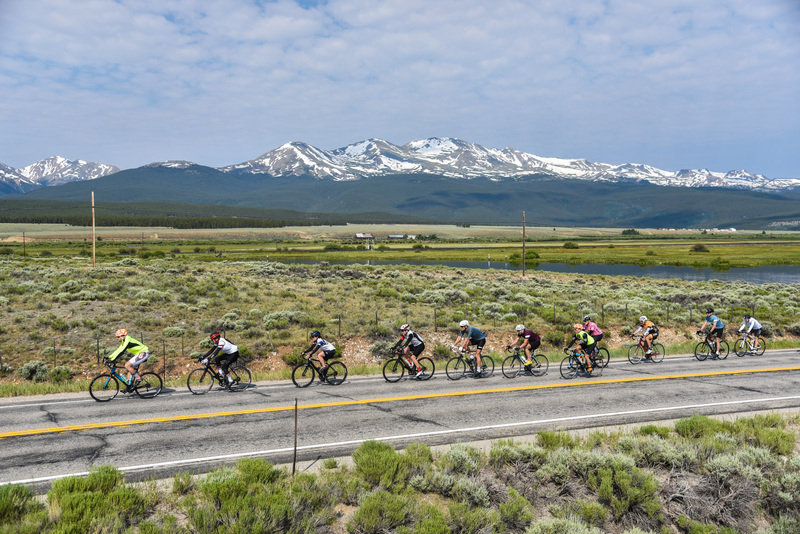 The longest stage of the week lies ahead tomorrow; the 170km course from Snowmass Village to Crested Butte includes several gravel sections such as the renowned climb up Kebler Pass to finish the day.